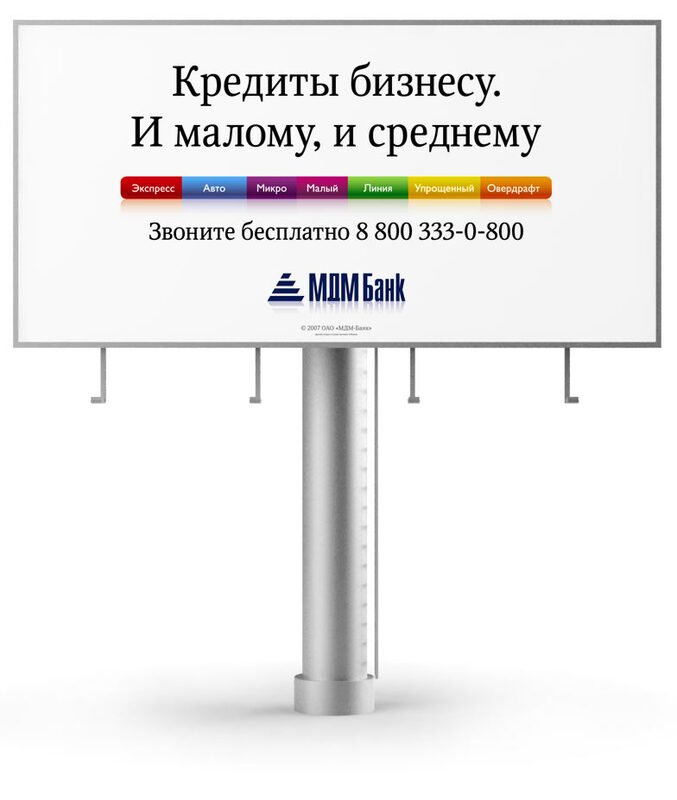 Problem: Dream up and make an ad for a credit line. 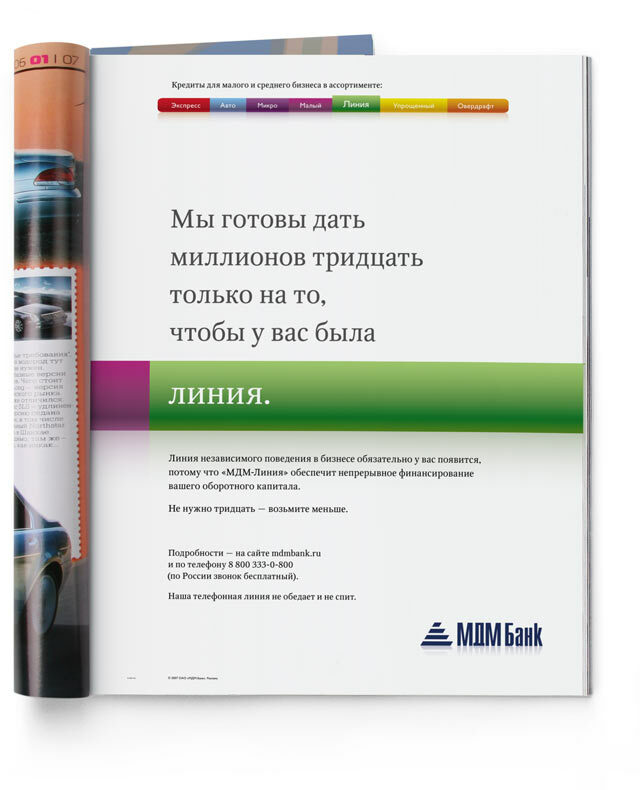 Every kind of credit has a page devoted to it. 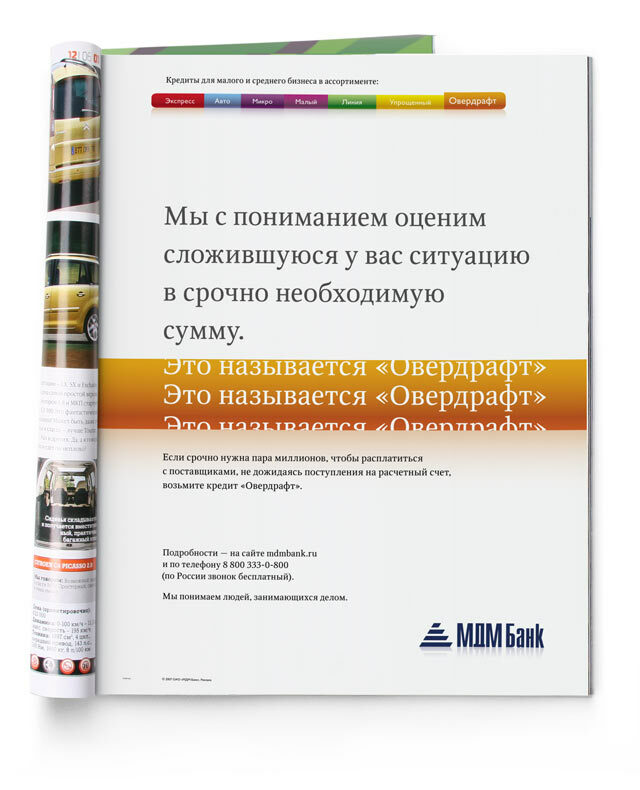 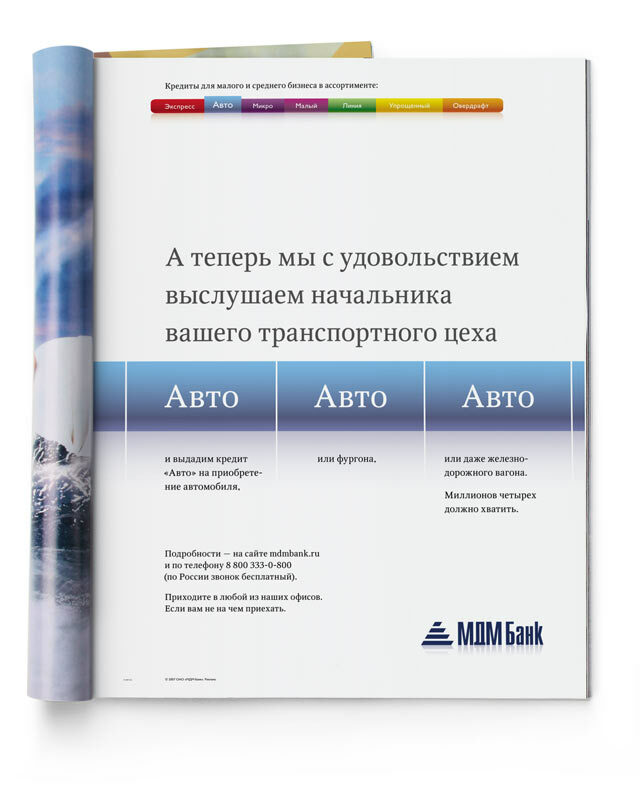 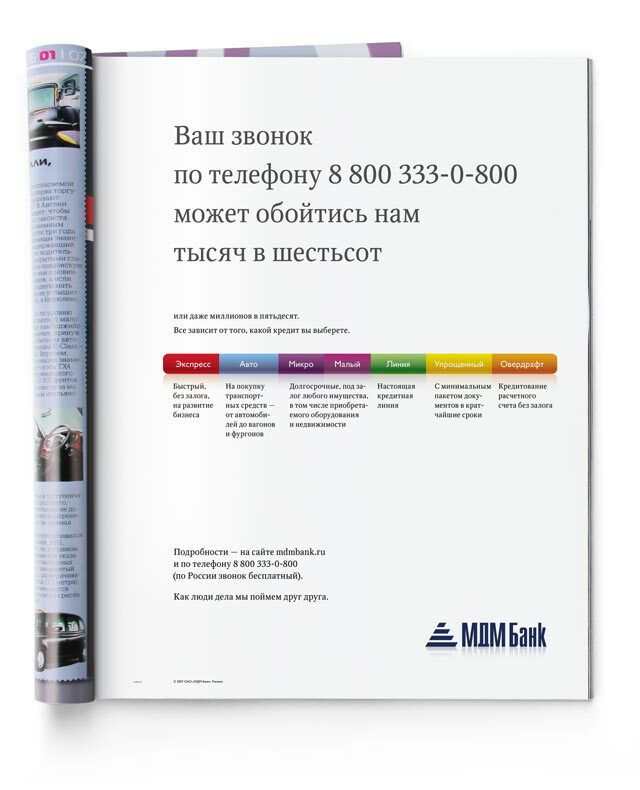 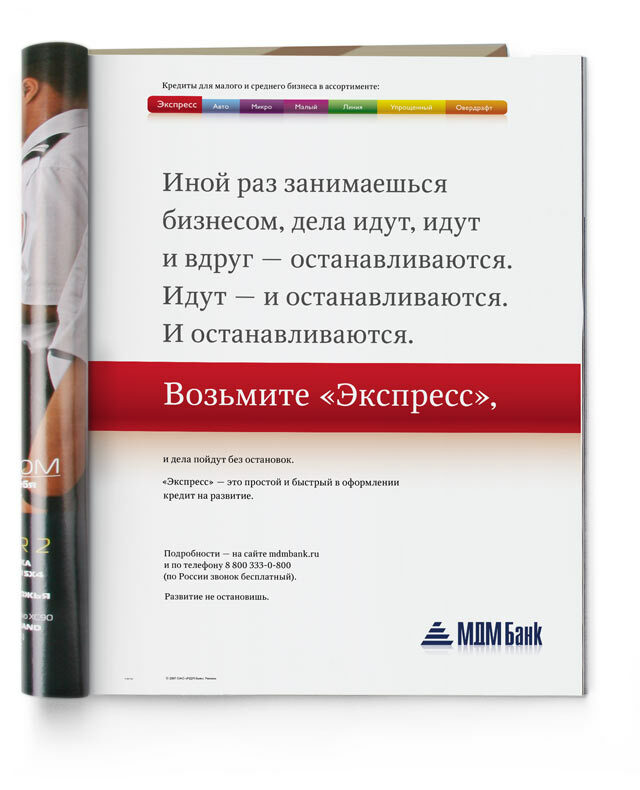 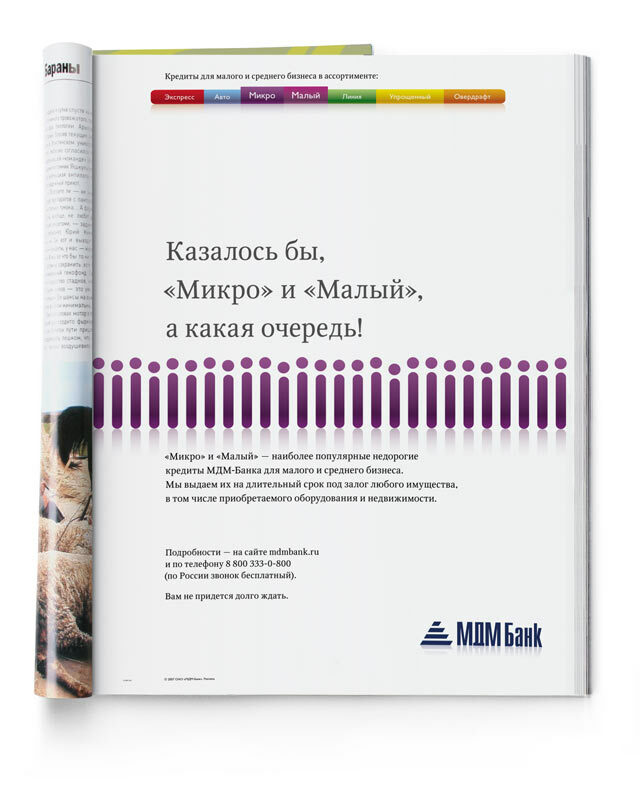 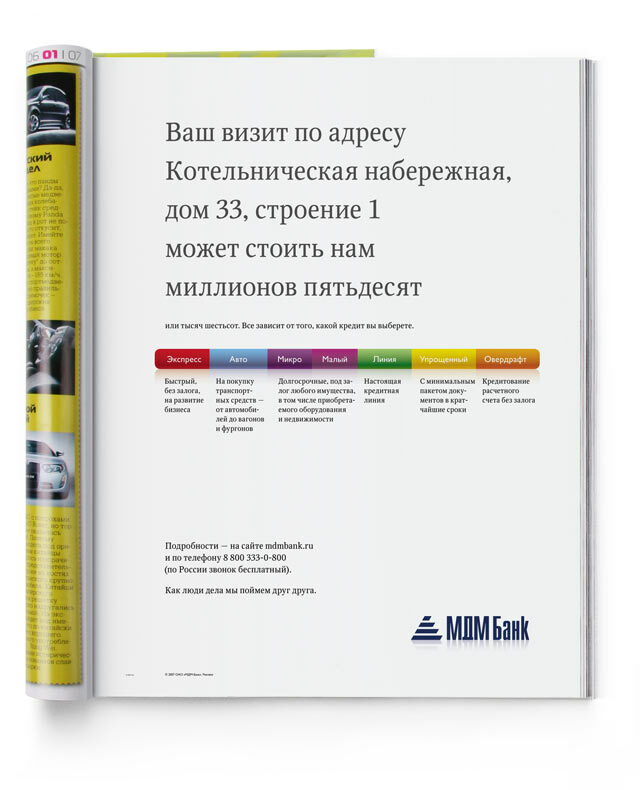 MDM Bank has enough offers to meet all the goals of small and medium-sized businesses.